If an airport was designed like most software it would look exactly like the Phoenix Suncity Airport (PHX) and, like many software companies, PHX offers consulting and tech support. Fortunately, their consultants are free and take the form of an army of purple-clad senior volunteers. In spite of this, every time I visit this airport, I’m shocked at its poor design. To illustrate this point let me take you through my first hand experience of this airport. I was flying with my mother-in-law from Guadalajara to Phoenix. She had to catch a connecting flight to Denver and I to San Jose. After clearing immigration and customs, we proceeded on a long walk to the end of a hallway, took the poorly marked elevator, accepted the free hand sanitizer and were dumped into what we later learned was Terminal 4. Let the games begin. Upon entering Terminal 4 your first goal is to find your connecting flight so you look at the first set of monitors you see, which we did. Unfortunately, this set of displays contains only the list of international arrivals. Not much help. We looked across and saw another bank of monitors. We went to look up the flight and saw that the only airline listed was US Airways, our airline. But her flight was not listed. The only clue we had was that the person who checked her bag after customs had suprisingly stated she was on a United flight, which now led us to believe that it was a code share flight. But how were we supposed to find her gate? At this point, like with so many software packages, the option you’re looking for simply isn’t where you think it should be. So we walked over to the very friendly consultants in purple. Our consultant seemed a little bored, but gave us the helpful hint to take the escalators marked “baggage claim,” down to a bus to get to Terminal 2 (where United flies). This is the software equivalent of,”Oh, its easy, just hold down the shift key while double-clicking with the mouse”. Having read the slightly more helpful training manual (brochure of the airport), we came to understand that there are four different terminals. Each terminal has airlines assigned to it and while I can’t speak for all of the terminals, Terminal 2 has simply numbered gates. Terminal 4 has 4 wings (A-D) which each have about 30 gates. This doesn’t include the international arrivals which dump you into Terminal 4. Terminal 4 is only US Airways flights. After talking to our purple-clad consultant the first time, we looked back at the escalator and seeing markings that indicated it was to baggage claim, we asked for confirmation that we really needed to shift-double-click. She reconfirmed, “yup, take the escalator down.” Then she added some new information. “Find door 22 and take the bus from there.” Note, the instructions were not, “follow the signs that say: Connecting to other terminals.” There are none. Having received our quest from the oracle, we proceeded into the lair. Now that we knew the secret door number we set off in search of the magic bus. Upon exiting the door, we saw a sign labeled “Airport Bus.” Again, no indication what the “Airport Bus” is, or where it goes, we ask the driver if this is the bus that takes us to other terminals. Upon confirmation, we board and take a brief rest for our journey. After successfully finding the United Airlines counter (very thankful for inadvertant tip from the baggage recheck guy), we arrived at the correct gate, said our farewells and I then embarked on the solo journey back to my own gate. I eventually made it back to Terminal 4, searched in vain for some indication on how to find my flight but to no avail. By now I had given up on any illusion of self-sufficiency and asked the nearest purple friend who replied, “Oh, you’re on the wrong side of the airport, but you can take the elevators up over to the left.” I looked over, and there were two down escalators. But now armed with the pointer about the elevator, I ended up finding my destination. Terminal 4, Wing A, Gate 13. It’s more friendly to simply help people achieve their goals in a self-sufficient way by designing things so they are easy to find. For instance, why have Terminals, Wings and Gates? Why not simply have a terminal letter and a gate number? People can deal with numbers over 30. Moreover, why not have all of the flight panels contain all of the flights so that anyone can figure out where they need to go. And why not add signs that indicate exactly where you should go to change terminals? Too often, when we build our companies or products, we look at them the way I do the Denver airport (or probably how my friends see the Phoneix airport), as something that seems obvious. As such, we don’t consider the pain that new users go through in accomplishing their goals. Empathizing with our customers experience to help them meet their goals leads to having a business that doesn’t have to be staffed by hundreds of friendly consultants. John F. Kennedy airport in New York must have had a similar ‘software architect’. There are at least 5 terminals (A-E) with an unmarked bus arriving at unmarked stops to shuttle passengers between. Like PHX, JFK has little signage and after many trips through JKF I have never found a map, brochure, or other ‘user’s manual’. Like PHX, JFK has many consultants. Unfortunately, those at JFK have slightly less helpful attitude – “you talkin’ t’me?” I have missed more than one flight at JFK simply because I failed to navigate my way from one plane to another. I consider myself and expert user of such airport ‘software’ after spending 40-70% of my time on the road for the last 10 years, and I avoid both PHX and JFK at almost any cost. 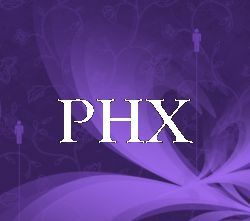 I’m laughing out loud here because we can relate to your PHX experience! We’ve encountered anything from mad-dashing sprints across the airport, to being yelled at in the security line at 5 am, to seeing the shimmering heat waves through the glass windows (feels a bit like the movie Total Recall). On the climate side, I’ve flown in to Phoenix in the summer months and the flights are quite turbulent because of the heat there. You make an excellent point about customer service and the customer experience. The questions of design, access and use should be the top priorities for any public building or space. This is too funny. I traveled through PHX for the first time coming back from Hawaii this past weekend. Our experiences are almost identical, except I walked EVERY wing of Terminal 4 looking for Delta (which is in Terminal 3, it turns out), asked a purple-shirt who gave me the “door 22” speel, and EVERYONE who walked onto the bus asked the driver if it was going to Terminal 2 or 3 or whichever airline they needed…and to everyone he replied with the same annoyed “Yesss.” Too funny. Luckily, I had a 3 hour layover – of which I only spent about 20 minutes sitting, waiting to board. Agree wholeheartedly. Just arrived PHX awaiting my flight to ABQ. As it was 1100, I went in search of an airport map/chart/diagram/something to show me available restaurants thruought Terminal 4. I eventually gave up and Googled one…a poor one at that, but at least one could discern dinning options. I had the pleasure of speaking with purple clad lady that informed me after my lunch SOL with regard to exercise options. Overall, a poor impression of this old, overcroweded, poorly designed and very poorly signed airport.